Biking from Den Haag to Leiden. One of the things I always wanted to try while in The Netherlands was to go on a long bike ride. 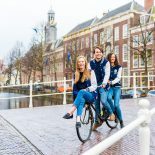 Despite spending a considerable amount of time in The Netherlands and most of it spend on bikes, I never went on a biking trip which could truly be considered as a long one. So inspiration stuck me one fine morning and I decided to take my trusty (and rusty) bike and decided to take a ride from Den Haag to Leiden. So after looking at the maps I came to the conclusion that all I had to do was bike a mere 20 km (C’mon how hard could this possibly be?!). The route which I took was one of the fastest ones, which was beside the train tracks, there is a lot of scenery along the way and there are three different tunnels. Now cycling such a distance was thought by me to be not challenging at all. Anyway out I went into the so called wilderness, without not even a map by my side. In a biker friendly country I had no pretention of getting lost. Anyway I started out from my house in Den Haag by about 1pm on a sunny day and after about 15 minutes of biking I was near the Den Haag central station. 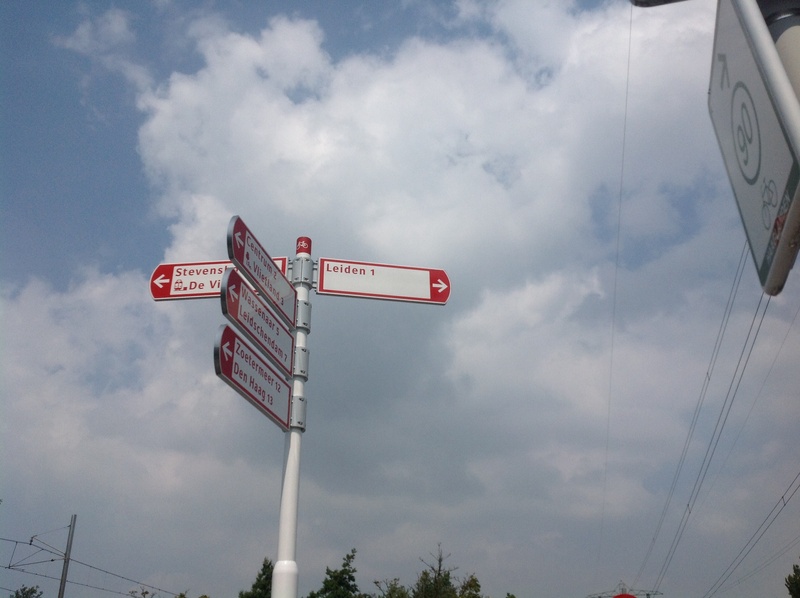 Some friendly locals over there pointed out the direction of Leiden to me. 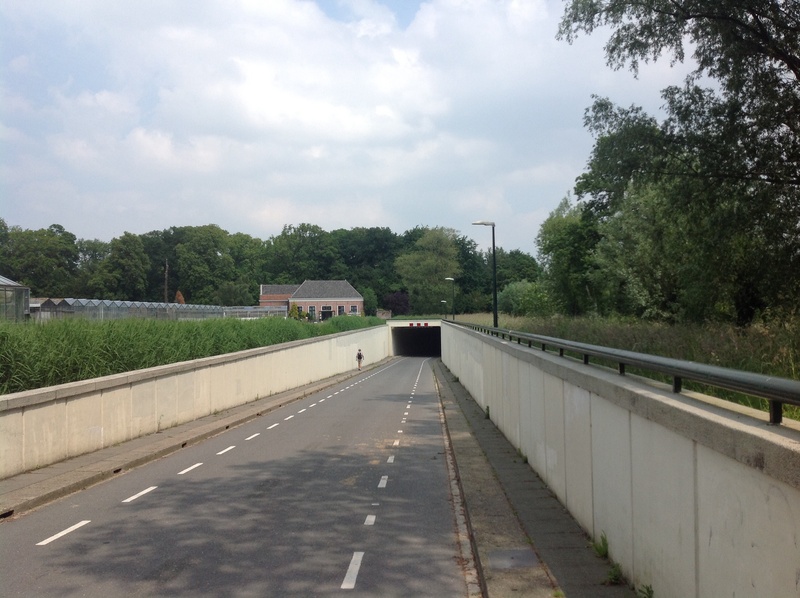 After further 15 minutes of biking I reached the supposed home run road to Leiden. Now a board over there reminded me that Leiden was a mere 11 miles away. This is when my Bike began to give up on me, RATHER the seat of my bike. A rather too sturdy seat meant that my back was under constant stress (note:- next time you go on a long ride make sure that the seat is a really comfortable one). Anyway despite the obvious uncomfortability caused by the seat, the ride turned out to be a great one. 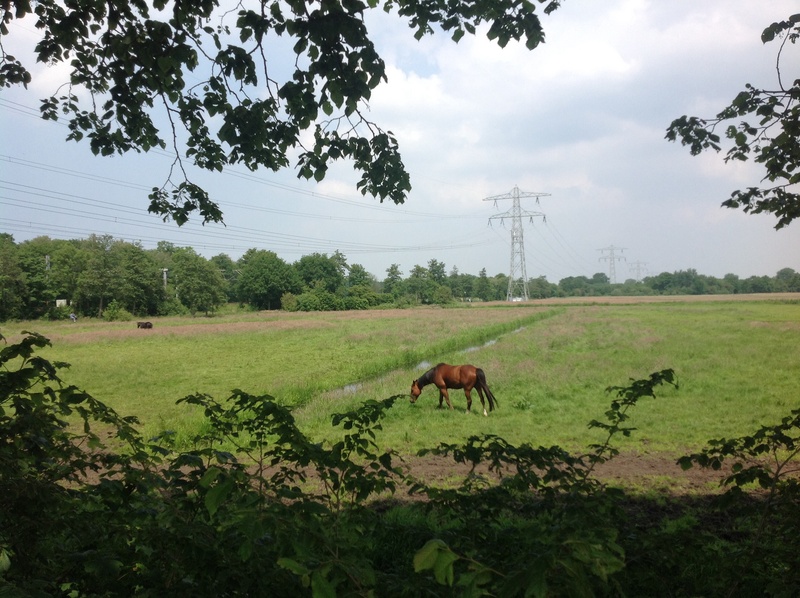 This is due to the sheer beauty of the bike route to Leiden. 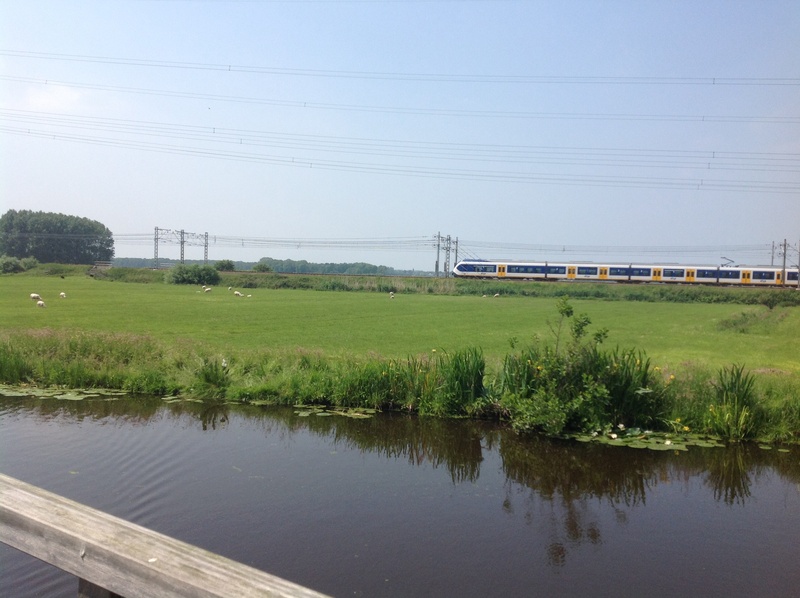 It did take me about an hour and a half to reach Leiden on the home run, but that is mostly because I stopped my bike at places for quite a while so that I can fully appreciate and enjoy the scenery at offer. I was biking through tulip fields, meadows and some beautiful meandering roads. There was an occasional train which passed nearby as well, but I can live with that. So after reaching Leiden I was left wanting for more. Sadly this wasn’t the case with my back which by now had become too sore! So on the way back I did take the easy way out and take the Intercity. 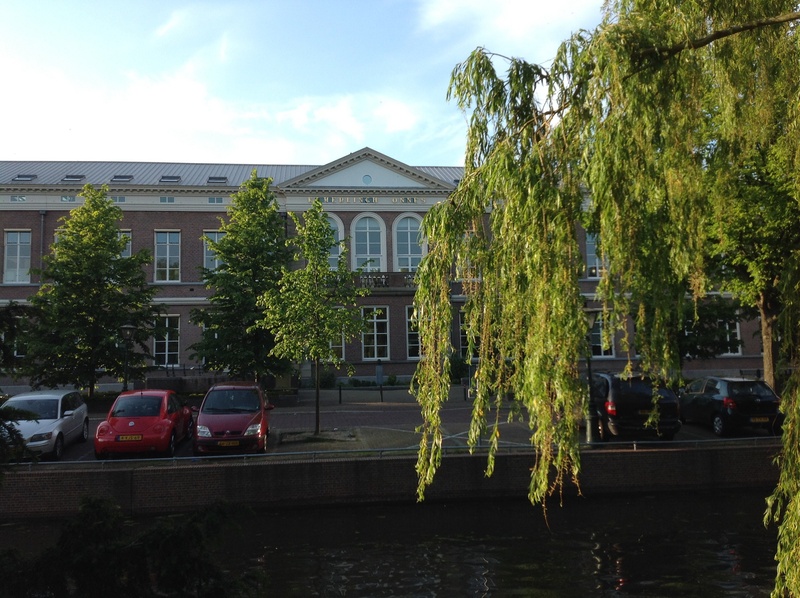 However it was a wonderful experience and I didn’t head back until I had spent some well earned time chilling out at the Van der Werf park in front of the Law School. For all those who loves biking this is one route which you should not miss out on! 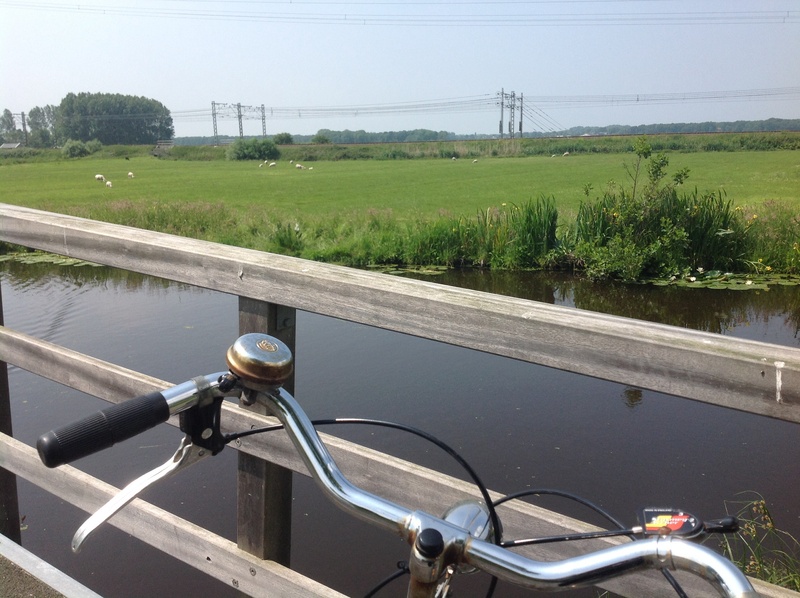 This entry was posted on June 21, 2014 by admin@theleidener in Deepu, Living in Holland and tagged Cycling, Deepu, Den Haag, leiden, Scenery, travel.